Dave -- yes, you are correct. Well done. What gave it away? 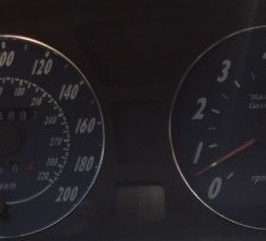 Hey Vince, A friend of mine had a 4200 a few years ago, so it looked familiar to me, and when I saw the "Ma" text for the beginning of "Maserati" in the center of the Tach it was a no brainer at that point... Cheers!